Tamron has announced the development of three new full-frame lensestwo for Canon & Nikon full-frame DSLRs and one for Sony E-mount full-frame cameras. 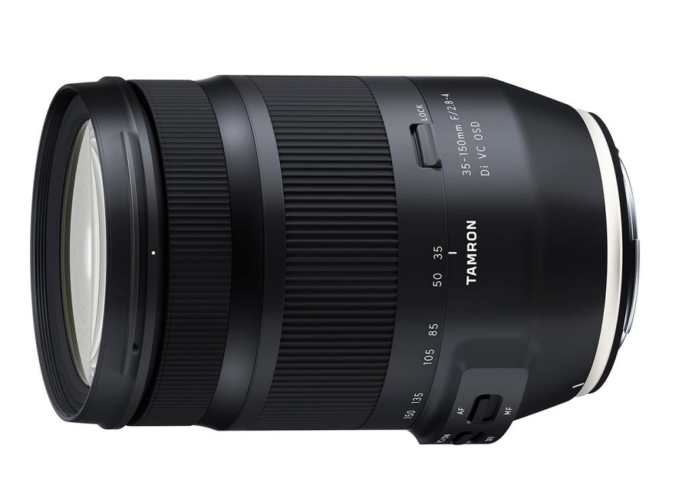 The new Tamron lenses will be the SP 35mm F1.4 Di USD and 35-150mm F2.8-4 Di VC OSD for Canon and Nikon DSLRs, as well as an ultra-wide 17-28mm F2.8 Di III RXD for Sony E-mount cameras. Tamron will display these new lenses at CP+ 2019, the World Premiere show for camera and photo imaging, beginning February 28 through March 3, 2019 at Pacifico Yokohama.